The eagle-eyed amongst you may have noticed that streaming movies from Kanopy, as well as digital audiobooks from Hoopla and RBDigital, now appear in the Free Library catalog. Audiobook junkies are surely weeping tears of joy right now, but the rest of us can be excused for asking what all the fuss is about. The fuss, however, is most surely waranted. Becasue you can now search in one location (our trusty catalog) for all of the digital audiobooks the Free Library offers. Until very recently, only Overdrive audiobooks were in the catalog, while Hoopla and RBDigital content was only findable from within those platforms. This resulted in longer wait times on Overdrive while Hoopla and RBDigital were being underused. Making these digital audiobooks easier for you to find and enjoy means access to more titles (YEAH!) and shorter wait times (HURRAH!). However, if you are in the habit of searching for digital audiobooks and ebooks directly within the Overdrive site or app rather than in our catalog, stop doing that! 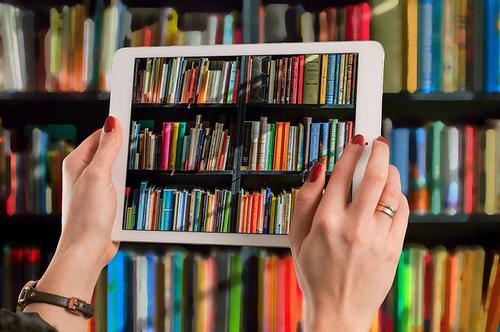 By limiting your search to Overdrive, you're only seeing a fraction of the digital media the Free Library offers. Consider what you're missing: best sellers by Dan Brown, Caleb Carr, Celest Ng, Marie Kondo, and more. We hope you enjoy the newly discoverable audiobooks and other great content in our catalog. If you're just getting started with digital media from the Free Library, here are a few basics to help you get started. Each of our digital content platforms offers their own mobile app and website (Overdrive, RBDgital, Hoopla, Kanopy, etc.). Once you find the item you want to checkout in our catalog, follow the link to the platform to watch, read, or download your content. A library card number and PIN are always required to use our digital media, unless otherwise noted. Hoopla: You may checkout 4 items a month. Loan periods vary by item type from 72 hours ( for videos) to 21 days (ebooks, comic books, and audiobooks). Overdrive: You can checkout 6 items at a time and have 10 items on hold at once. You set your own loan period from 7 to 21 days. Kanopy: You can watch 4 films a month. The loan period is 72 hours and you can watch your film as many times as you like during the loan period. RBDigital: You can checkout 6 items at a time with a 21 day load period. You can now search in one location (our trusty online catalog!) for all of the digital audiobooks the Free Library offers. Add a Comment to All About Audiobooks (and eBooks, Streaming Video, and More): Now Searchable Directly Through Our Online Catalog!